Have your own exclusive driver waiting just for you with our Krabi Airport to Ao Nang Private Transfer. 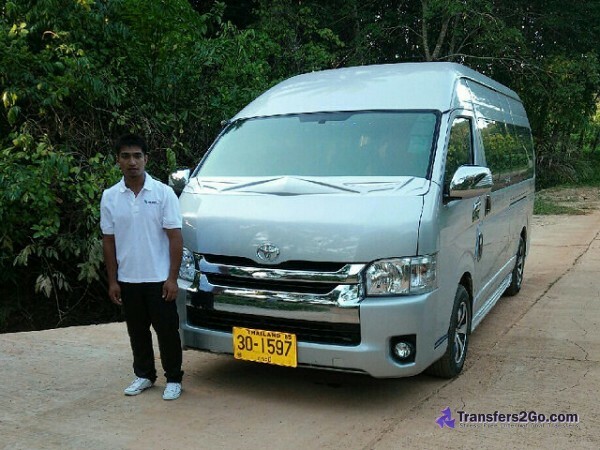 Our Krabi Airport Transfer Service runs anytime seven days a week and is for those who value a professional ground transportation operation with comfort, safety, convenience, and efficiency as top customer priorities. 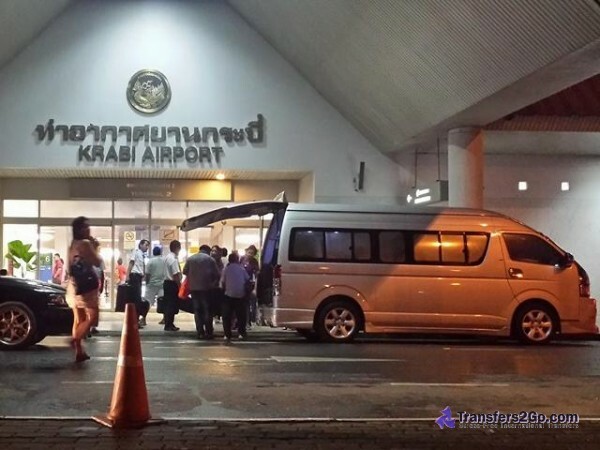 When you arrive at Krabi Airport, your exclusive driver will greet you just outside the airport's secure area with your name on a sign board and then your driver will assist you with your luggage to your waiting vehicle to get you on the road quickly and easily. 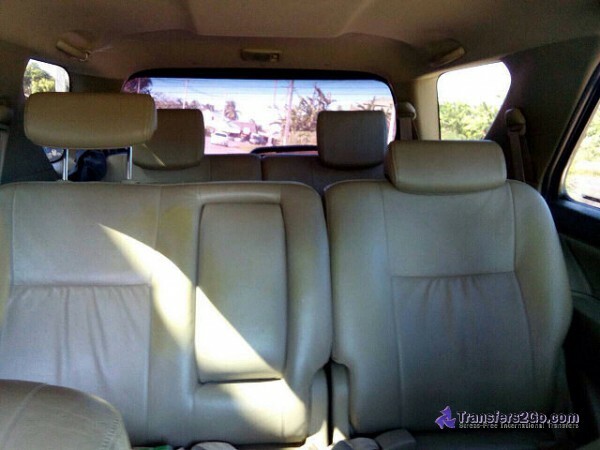 There is no lining up for a Krabi Airport taxi after your long flight, no worries about being hassled when you arrive, and you will have no worries about trying to negociate a taxi fare. As your transfer is paid in advance, there are no "surprise costs" at the end of your journey. For departures from your Krabi hotel or other residential address, your exclusive driver will assist you with your luggage to your waiting vehicle to get you on the road quickly and easily. There are no worries about being hassled waiting for a taxi,and you will have no worries about trying to negociate a taxi fare. As your transfer is paid in advance, there are no "surprise costs" at the end of your journey. 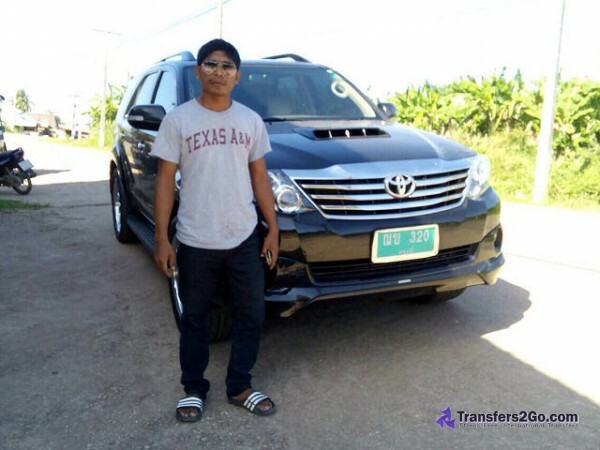 For hotel and residential transfers to Krabi Airport, your driver will meet you in the front lobby or just outside the main entrance of the building at the time you specify in your booking. Once your booking has been made and confirmed by your driver, you will receive an email confirming your transfer along with all the necessary meeting points and drivers' contact information for your transfer. Please make sure to book early to guarantee availability and reservations should be made a minimum of 24 hours ahead of your scheduled arrival or departure time. Please select Return Transfer and then specify a Quantity of 2. Give your pickup details (usually from the airport or cruise port) and then in the Special Requests section you can give your return date and time details. 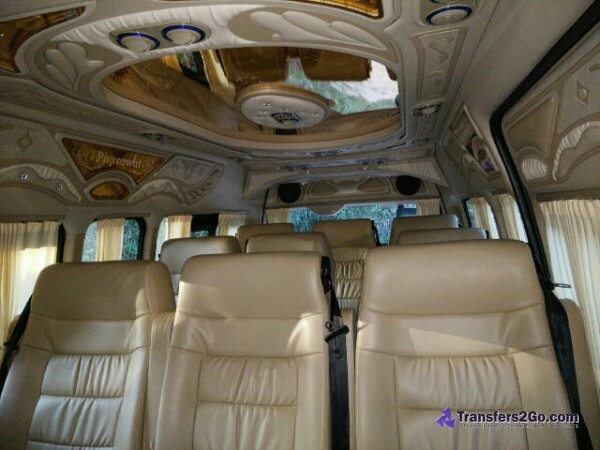 Please note that our Krabi Airport to Ao Nang Private Transfer also goes to many other destinations that are not listed here, so if you are looking for another destination then please search above or contact us for a quote. We also would really appreciate your feedback on our transfers -- Please consider writing a review after your transfer to let fellow readers know about your experiences with our services. Photos of your transfer are also more than welcome. Looking for things to do in Krabi too? You can find ideas over on krabi.layoverideas.com. The icons indicate start (blue) and end (pink) transfer locations (opposite for reversed bookings). Specific transfer routing is not shown as this will vary based on your exact destination and traffic conditions. All Included! No booking, credit card, or other hidden fees. Free cancellation up to 48 hours prior to booking date. We have been in the ground transfers business since 2009 and everyone on the Transfers2Go team travels internationally, so we know how nice it is to have someone waiting there when you arrive after a long flight and you just want to get to your hotel fast and efficiently and avoid the taxi rip off scams that happen at so many places around the world.